According to Abiru," we have issues relating to finance which people do not know anything about. An attitude of not saving money is not good for the future. We need to learn, save and earn money. You do not save after spending but rather, you save first before spending. The idea is to catch them young in terms of educating them on finance and financial investment so that in future, their personal and financial lives can be guaranteed. To achieve this, we need to imbibe the culture of saving, no matter how small"
The Managing Director who was represented at the event by the Bank's Group Head, North -East Zone, Mr. Olayinka Obikanye urged the students to pass the message to their friends and other family members. He said: "this is an annual event. Last year, we were in Bauchi for the financial sensitization and this year, it is the turn of Plateau state. 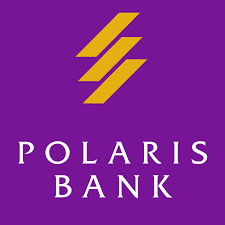 For us in Polaris Bank, we will continue to engage schools, parents and teachers, because we believe that by being financially literate, students and indeed the young ones, will be able to build their capacity for future business endeavours, thereby securing their future from poverty and other financial challenges"